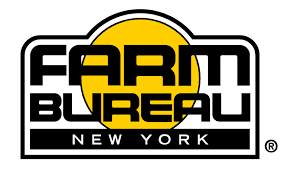 New York Farm Bureau Public Affairs Manager Steve Ammerman said not only will it mean a reduction in hours for their employees, but also a loss of employees because some farmers may have to grow other crops. Ammerman said farmers support some aspects of the bill including a day of rest for employees and mandating unemployment insurance on workers comp for employees. State Senator Michael Ranzenhofer will join fellow Senator and Chair of Committee on Labor Jessica Ramos for a closed-door session in Batavia Thursday morning before going on a farm tour. Ammerman said it’s a matter of trying to not only educate, but have a conversation with Urban lawmakers. “To help them understand these rural issues and the implications not only to the farm, but also to the rural economy and to the local food supply. There’s a lot of food that goes in to the green markets in New York City that will be impacted by this legislation, no different than Buffalo or Rochester,” he said. The farmers Ammerman have spoken to say it’s not a matter of not wanting to pay, it’s how to pay. Ammerman is concerned the bill would increase labor costs by as much as 17 percent on average, which he said would be very difficult for farms to absorb. And Ammerman added dairy prices still haven’t rebounded to where farmers would like them to be. Three hearings will be held across the state addressing these concerns in Nassau, Sullivan, and Madison Counties. Republicans in the State Senate are calling to have more meetings so farmers in areas like the Capital Region, Hudson Valley, North Country, and the Southern Tier will have a chance to give input.